Rich and indulgent with a strong coffee kick this dessert is a grown up version of the chocolate mousse I adored as a child. As a small child the highlight of a rare family restaurant dinner at the Bonanza Steakhouse was the dessert. I would always order the chocolate mousse. It was soft, sweet and elegantly served in martini glass. It was for me, as a small child living in 1980s Brisbane, the most delicious and sophisticated dessert imaginable. 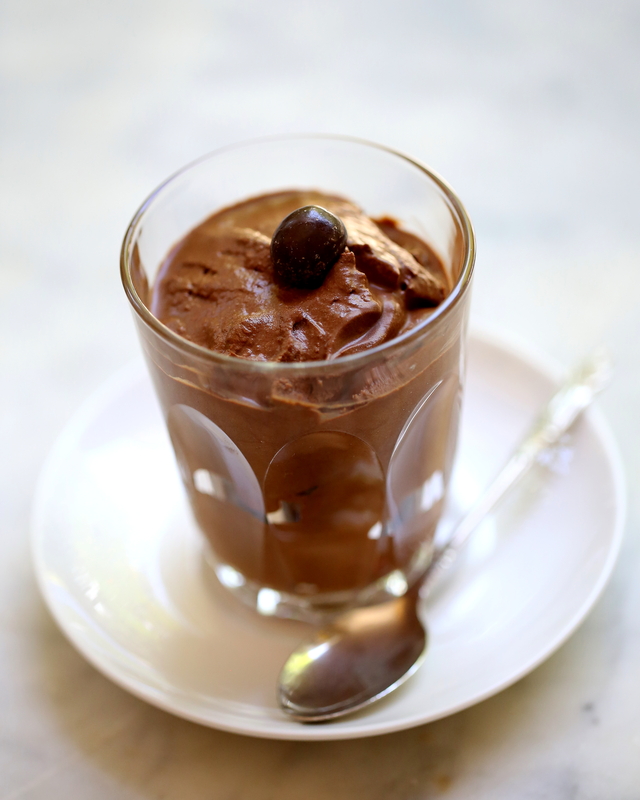 This mousse is definitely one for coffee lovers. I loved by itself but a dollop of whipped cream will lighten the intensity if preferred. If coffee really isn’t your thing then use water in place of the coffee, as done in the original recipe, for a delicious chocolate mousse. This is a very quick dessert so it’s imperative that everything is ready before you start cooking. Set the serving dishes out. Place some ice cubes in a large bowl with about a cup of water and place a smaller bowl inside of this (the mousse will be whisked in this smaller inner bowl). Have a rubber spatula and whisk ready. Place the chocolate and coffee in a small saucepan and melt over a lowish heat, stirring with the spatula, until melted and smooth. Pour into the inner chilled bowl and whisk! whisk! whisk! The mousse will thicken as it cools; whisk until it forms thick soft ribbons. Pour into the serving bowls. Garnish (I used a chocolate coated coffee bean) and serve. Refrigerate if you’re not serving it immediately. It won’t lose any volume by being stored in the fridge but it will firm up so it’s best to remove it from the fridge for 15 minutes or so before serving. 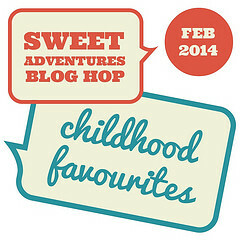 Posted in Puddings & MoussesTagged chocolate, coffee, dairy free, egg free, food, food photography, gluten free, mocha, mousse, SABH, Sweet Adventures Blog Hop, vegan, vegetarianBookmark the permalink. I don’t remember the jelly! My first job was working at a Bonanza steakhouse and I haven’t seen one around here for years. I can’t remember either option for desert but yours looks delicious! Thanks Beth – it was very delicious! I don’t know what happened to Bonanza here either. I don’t think they’ve been in Australia since the 1980s. I hope you make it. I would love to know what you think. Fiesta Friday sounds like fun – I’m in! You’re welcome to come over any time! I’ve seen this 2 ingredient mousse for years but have never tried it – it sounds brilliant! Thanks for sharing it for SABH! Thanks for visiting JJ! You should try the mousse – it’s great. ahh this sounds like a dream! You’re welcome! It is very easy to make and so delicious – I hope you try it! It’s very simple yet still so delicious. Thanks for stopping by!